Penticton’s signature channel-floating business will have some new hands on deck this summer through a new partnership with LocoLanding, The Peach and Boston Pizza. Coyote Cruises was featured in a “troubling” audit done of Penticton Indian Band finances last month. The newly branded economic development arm of the PIB, the K’uL Group, found Coyote Cruises was overstating annual earnings and carrying a deficit of $76,000, in addition to having unaccounted spending in excess of $9,000. The K’uL Group says Coyote Cruises has since signed a partnership agreement that will keep it majority-owned by the PIB, but will allow others in the tourism business to have a hand on the steering wheel. 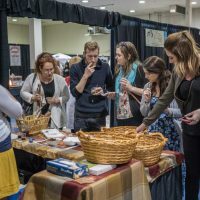 “Our partners are local tourism industry professionals, leaders in youth employment who manage existing leases with the City of Penticton and have tourism and hospitality experience operating,” the group wrote in a press release. 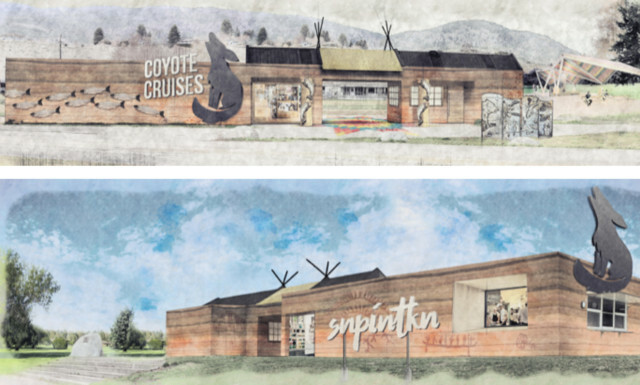 There are plans to modify the Coyote Cruises brand, including revamping the structure on Riverside Drive. The concept drawings were designed with input from PIB members. A $10,000 grant for the rebranding was given by the Ministry of Forests, Lands, Natural Resource Operations and Rural Development. Coyote Cruises is currently in the process of seeking a 20-year lease from Penticton Parks and Recreation. They are now hiring for the summer season, with a focus on employing PIB youth. 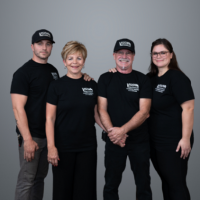 “If you are interested in working at Coyote Cruises this summer—in guest services or as a bus driver—we’d love to hear from you. Please fill out the 10-question online application by April 17,” their website states.